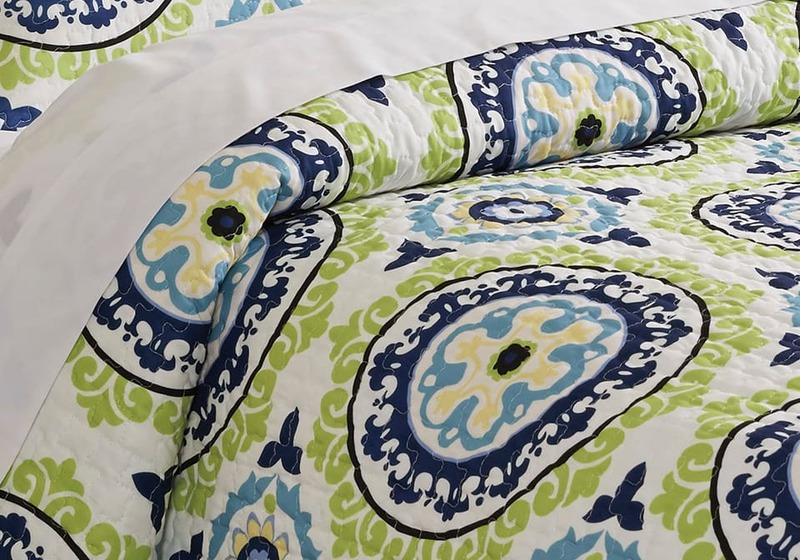 Danesha Coverlet with a suzani and complementary reverse diamond design. 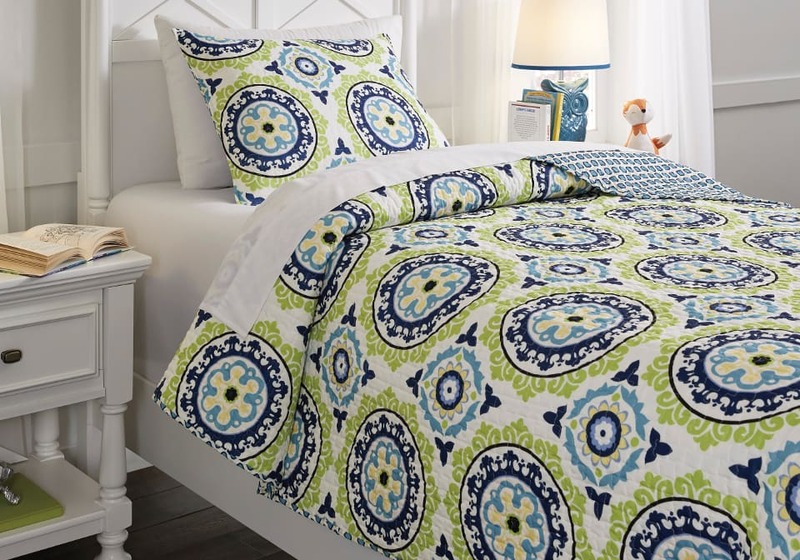 2 Piece Coverlet Set – Includes Coverlet and 1 Sham. Suzani Design in Lime, Blue, and White. Diamond Design on Reverse. Polyester Microfiber. Machine Washable.